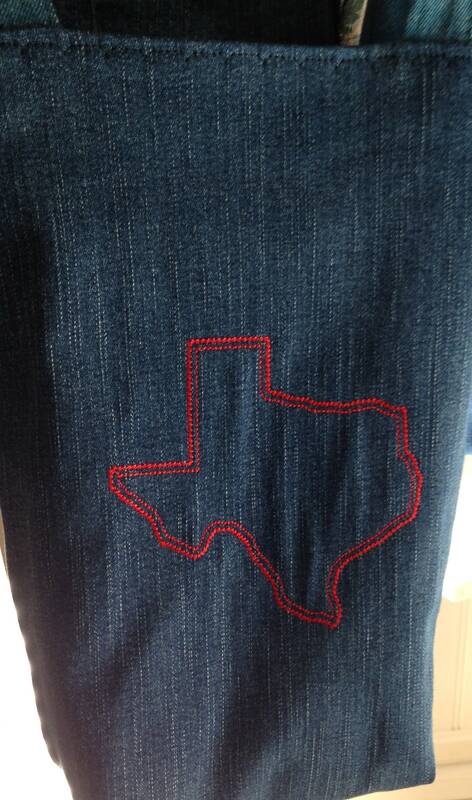 Thus one pictured plus two more with different lining. 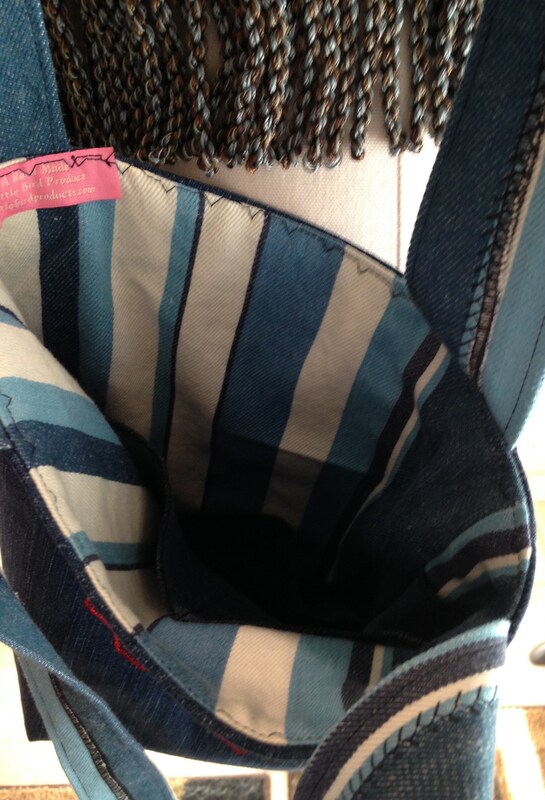 This denim blue heavy duty market bag almost hops up and yells yeee haa. The front of this 9" by 13" bag is embroidered with a boot full of flowers. 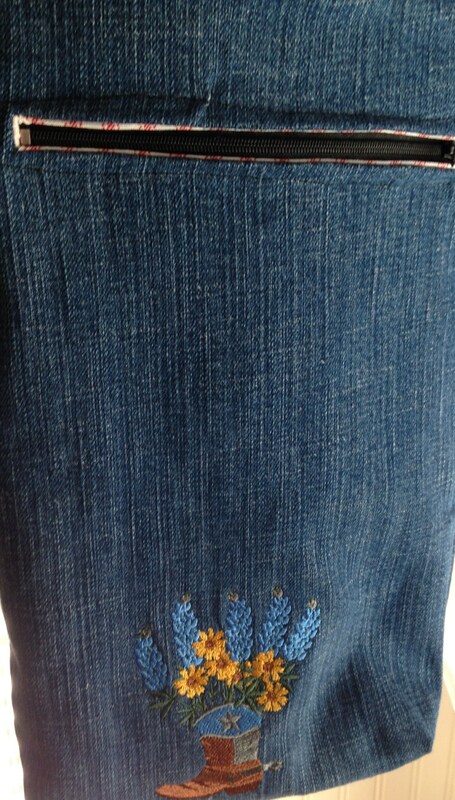 Just above the embroidery is a zipper pocket handy for your keys and cell phone. 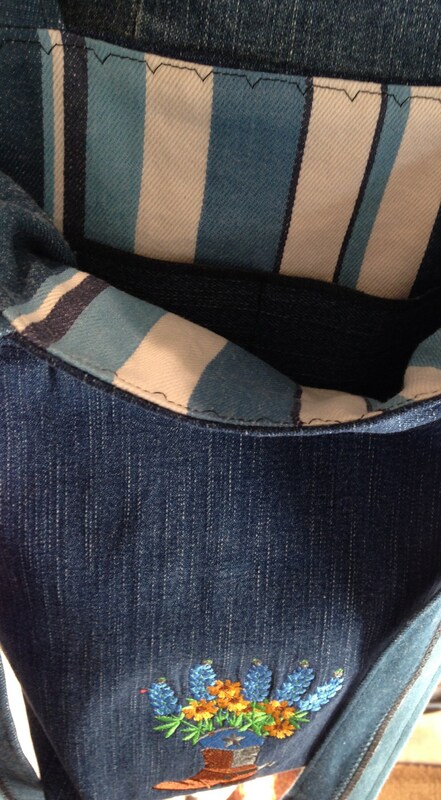 Peek between the shoulder straps and you will see the blue, navy, and white striped lining and two compartment pockets where you can slip your wallet so it doesn't get lost in the depth of the bag. There is plenty of room inside for your iPad mini, a paperback, and other essentials for market day or the fair. The backside of the bag sports a red outline of the State of Texas! Don't worry about spills and spots this bag is fully washable. This great little bag is sure to become your every day favorite. 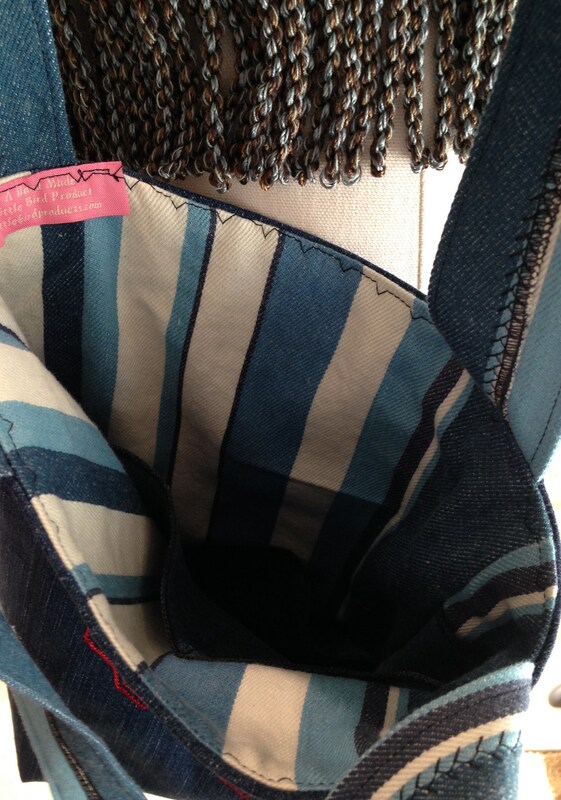 It is made entirely of repurposed fabric so you are going "green" with your red white and blue denim bag.